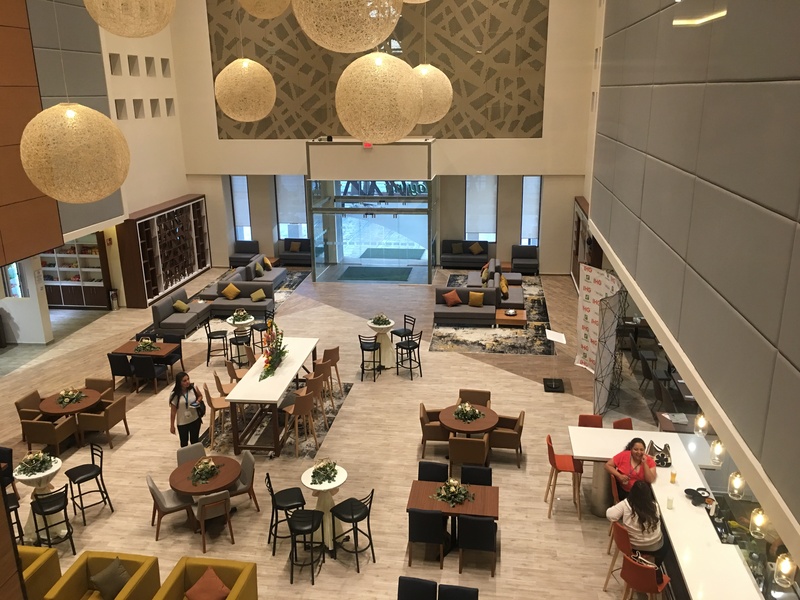 Denham, United Kingdom, 2018-Aug-24 — /Travel PR News/ — IHG® (InterContinental Hotels Group), one of the world’s leading hotel companies, today (22 AUGUST 2018) announces the new opening of the 4-story, 196-room Holiday Inn® Ciudad Juárez hotel. Conveniently located on Juarez Tecnologico Avenue 3620, Partido Iglesias neighborhood, and a few minutes from the Abraham Gonzalez International Airport serving Ciudad Juarez, the hotel opens following an investment made by its franchisee Fibra Inn of more than MX$ 211 million pesos. The Holiday Inn brand is recognized worldwide for its commitment to providing warm and friendly stays for all guests. The Holiday Inn Ciudad Juarez property features a contemporary design, making it the ideal property for any traveler visiting this destination. Guests can find facilities to help them work and play, including the El Refugio Bar and the full-service Las Misiones Restaurant serving both regional and international dishes and where Kids Eat Free. Other hotel amenities include an outdoor swimming pool, fitness center, 24-hour business center, free parking, meeting rooms, as well as fast, reliable Wi-Fi with IHG® Connect. The Holiday Inn Ciudad Juarez hotel joins five other IHG properties open in Chihuahua state: Holiday Inn Express & Suites Ciudad Juárez -Las Misiones hotel; Holiday Inn® Hotel & Suites Chihuahua hotel; Holiday Inn Express Chihuahua hotel; Staybridge Suites® Chihuahua hotel and the Holiday Inn Express® & Suites Chihuahua Juventud hotel. Guests visiting Ciudad Juarez on leisure will find the Holiday Inn hotel conveniently close to La Rodadora interactive museum with exhibitions in science, technology, art and culture. The newly opened property is also near the renowned Museo de la Revolución en la Frontera (Museum of the Revolution on the Border) showcasing the history of Juarez and the Mexican revolution as well as the Instituto Nacional de Bellas Artes (Fine Arts National Institute). For ecotourism enthusiasts, the majestic dunes of Samalayuca are only 45 minutes away. Owned by Fibra Inn and managed by Grupo Hotelero Prisma, the Holiday Inn Ciudad Juarez hotel is franchised by an affiliate of IHG. Fibra Inn, who currently has 15 hotels under the IHG family of brands, is one of the longest-standing owner groups in Mexico. The Holiday Inn brand is part of IHG’s diverse family of brands in nearly 100 countries and territories. The scale and diversity of the IHG family of brands means that its hotels can meet guests’ needs whatever the occasion – whether an overnight getaway, a business trip, a family celebration or a once-in-a-lifetime experience. The Holiday Inn brand participates in IHG® Rewards Club. The industry’s first and largest hotel rewards program is free, and guests can enroll at IHGRewardsClub.com, by downloading the IHG® App, or inquiring at the front desk of any of IHG’s more than 5,400 hotels worldwide. The hotel also participates in IHG Green Engage® and offers unique programs to ensure sustainability. IHG® (InterContinental Hotels Group) [LON:IHG, NYSE:IHG (ADRs)] is a global organisation with a broad portfolio of hotel brands, including InterContinental® Hotels & Resorts, Kimpton®Hotels & Restaurants, Hotel Indigo®, EVEN® Hotels, HUALUXE® Hotels and Resorts, Crowne Plaza® Hotels & Resorts, Holiday Inn®, Holiday Inn Express®, Holiday Inn Club Vacations®,Holiday Inn Resort®, avid™ hotels, Staybridge Suites® and Candlewood Suites®. This entry was posted in Hotels, Resorts, Travel, Travel Services, Travelers and tagged Ciudad Juárez hotel, Gerardo Murray, Holiday Inn, IHG, Mexico. Bookmark the permalink.